Macedonian national costumes from Skopska crna gora - Blatija. Home » Macedonian national costumes from Skopska crna gora – Blatija. 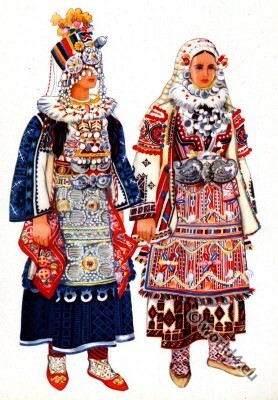 Macedonian national costumes from Skopska crna gora – Blatija. Macedonian national costumes from Skopska crna gora. Македонски народни носии од Скопска Црна Гора – Baltija. This entry was posted in Macedonia and tagged Macedonian national costumes, Vladimir Kirin, Wedding dresses on 1/6/15 by world4.